Suitable for frying banana chips, peanuts, french fries, coated peanuts, pork skin, etc. Double mesh belt to avoid fried food floating, oil water mixture saving oil. The commercial banana chips fryer machine uses high quality 304 stainless steel production processing, frying time and frying temperature, automatically control the oil level, easy to clean and easy to operate. Transmission system using mechanical or frequency control, customer can control the processing time according to the actual needs of the fried product, adopts double mesh belt, the product is caught between the mesh belt to avoid floating. Coated products can be used at the entrance of the non-stick mesh belt with a pot to prevent product adhesion. 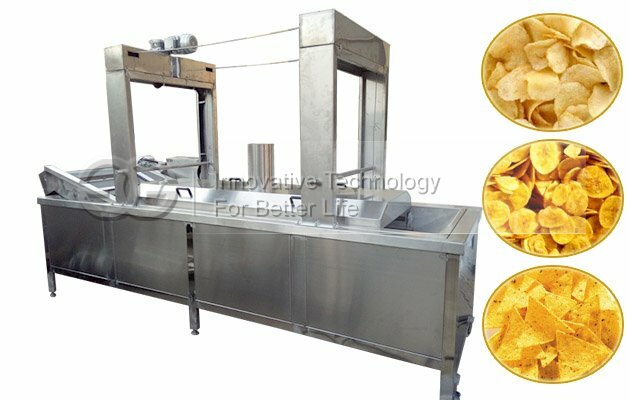 The electric banana chips frying machine is equipped with automatic filtering function, which can filter out large residue. The oil consumed in the frying process is equivalent to the oil absorbed by fried food, thus saving frying oil. This continuosu frying machine has a unique upgrade and smoke exhaust system. 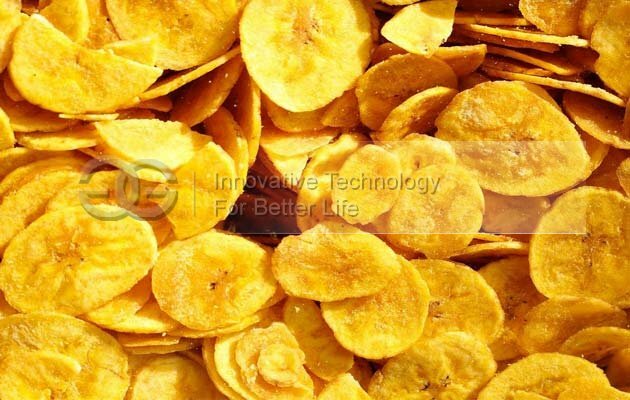 We can produce the banana chips fryer machine with gas, or electricity according to the customers' requirements, and the production capacity can be customzied. 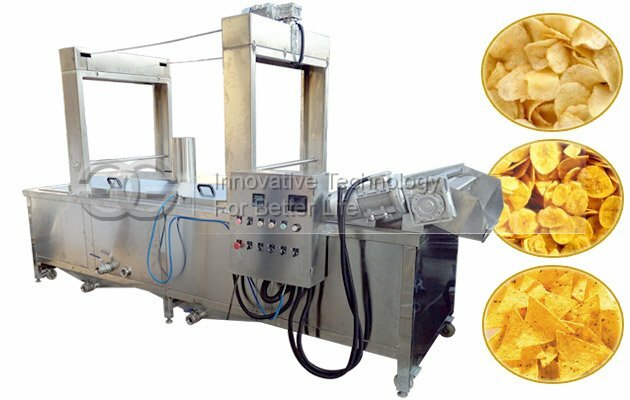 This machine is often used in Fried banana chips production line. 1. Can this machine use electricity as heating energy? Yes, sure, the heating enery can be customized according to your requirement. 2.Can I visit your company? We have exhibition hall in Zhengzhou city, welcome to visit us to examine the quality and negotiate our business! 3.What payment method do you accept? We accept payment by T/T or Western Union, Money gram generally, and also can accept L/C. 4.We are not in China,how can you ship machines to us? We can help you to arrange shippment for you by Sea, by Air and by Express. If you have agent in China, welcome to your agent to come to us to pick up cargo if you like.